This page shows you how to get the preview reference and preview your content. 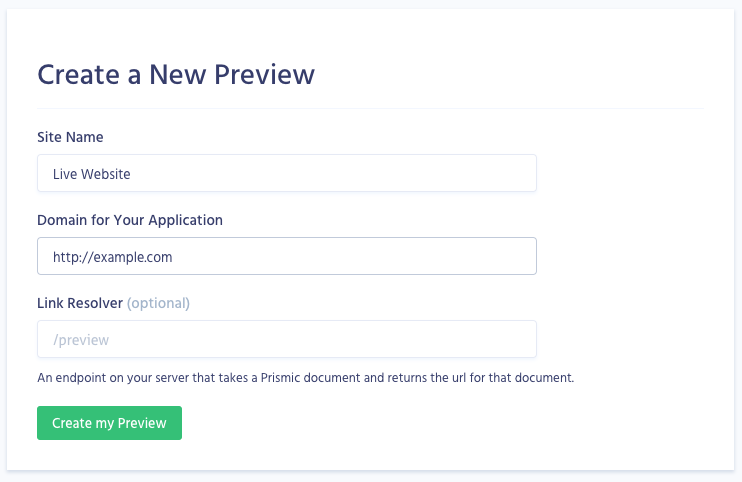 The preview works by using a preview token: when a user requests a preview from the Writing Room, a temporary and secure ref is generated for the preview session. Your website can then use this temporary ref to query the Prismic API. It will allow your website to display pending changes. Additionally the Prismic script automatically detects when a user is browsing the website in a preview session, and displays the preview bar. All the required code is already available out-of-the-box in our starter projects, but if you want to include it into a custom development, here are the 4 simple steps to integrate it into your website. Now you need to add the Link Resolver endpoint in your website application.